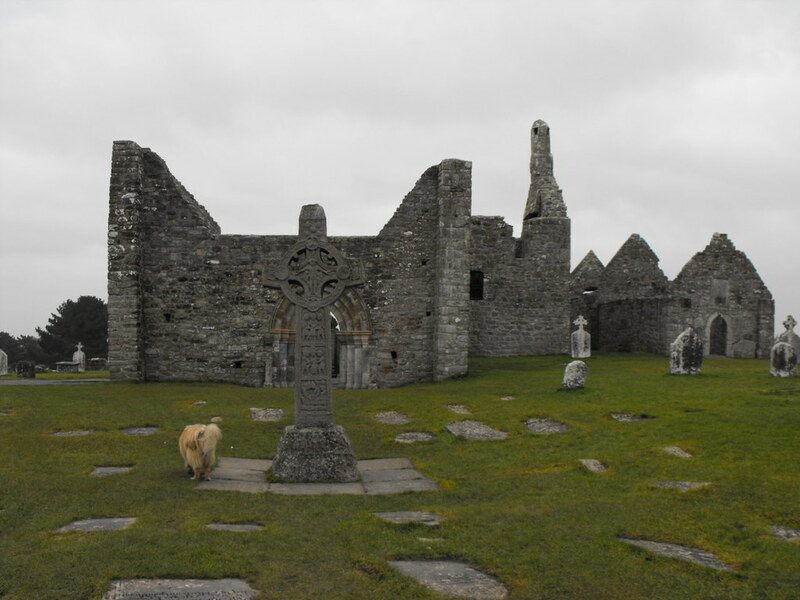 The Standing Stone: The Cathedral, Clonmacnoise, Co. Offaly. 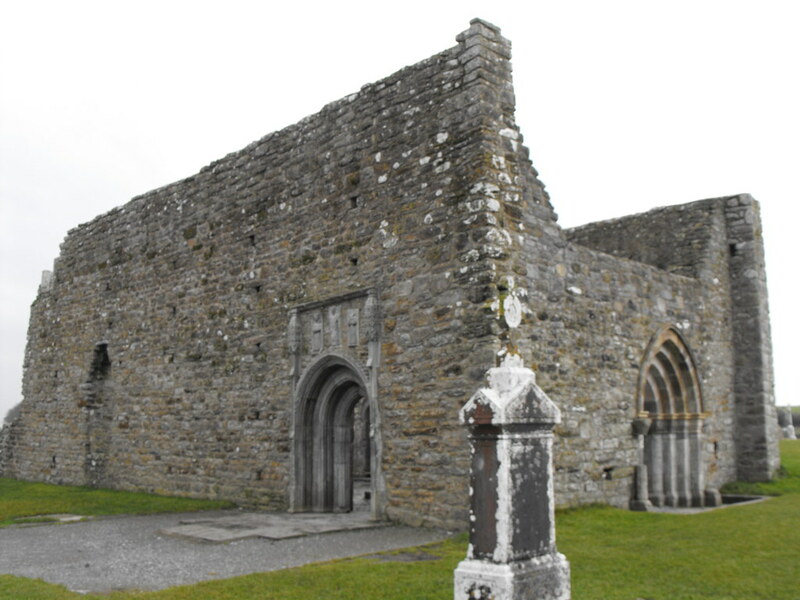 The Cathedral, Clonmacnoise, Co. Offaly. 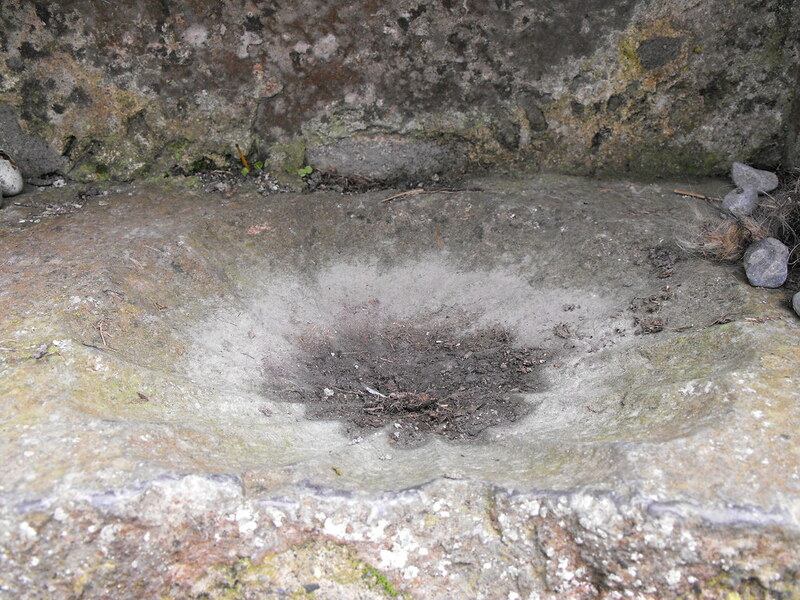 Location – This one cannot be missed and is the centre of the site as it stands and is the largest of the present remains. 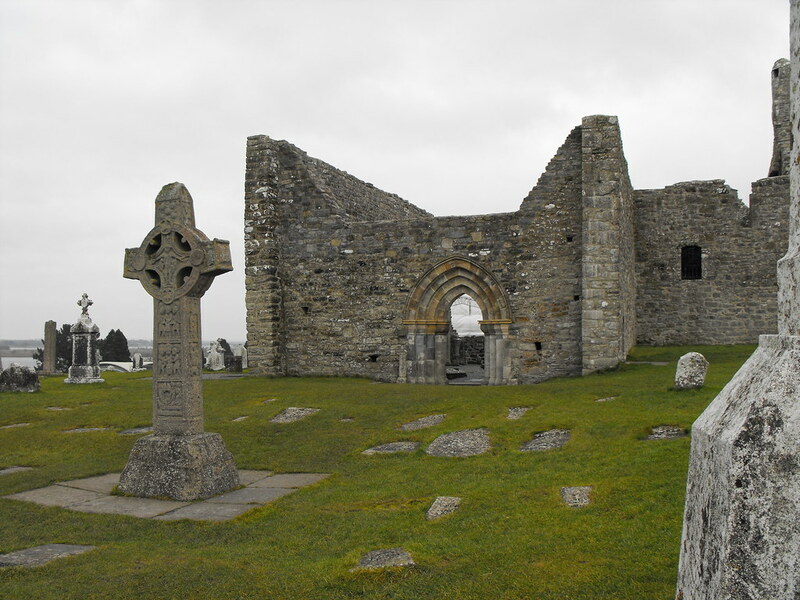 Description and History – Also known as Temple McDermot, this is the largest of the structures at Clonmacnoise and parts of it are as old as Temple Ciaran. 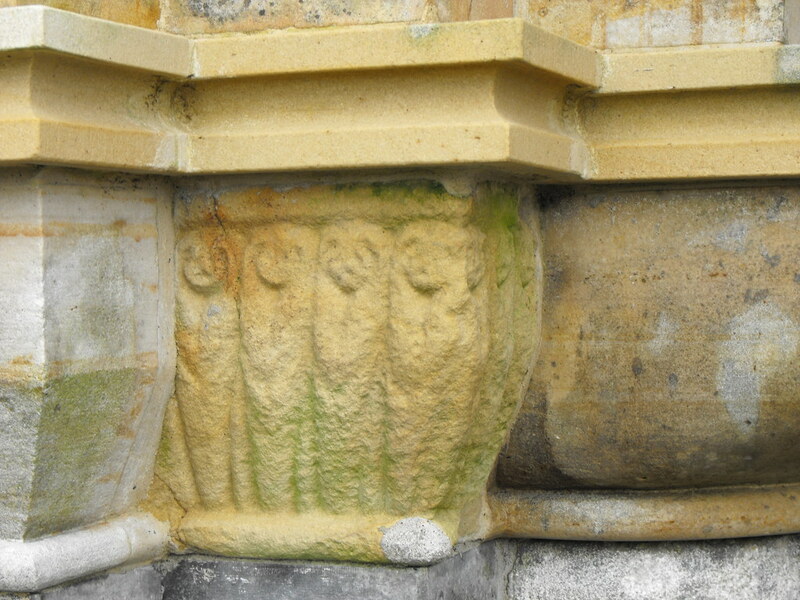 It measures roughly 19m x 9m. 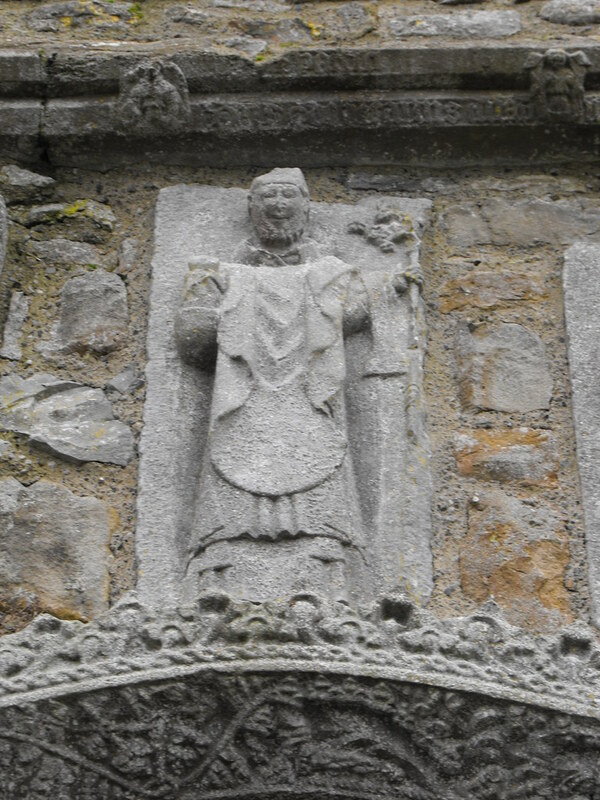 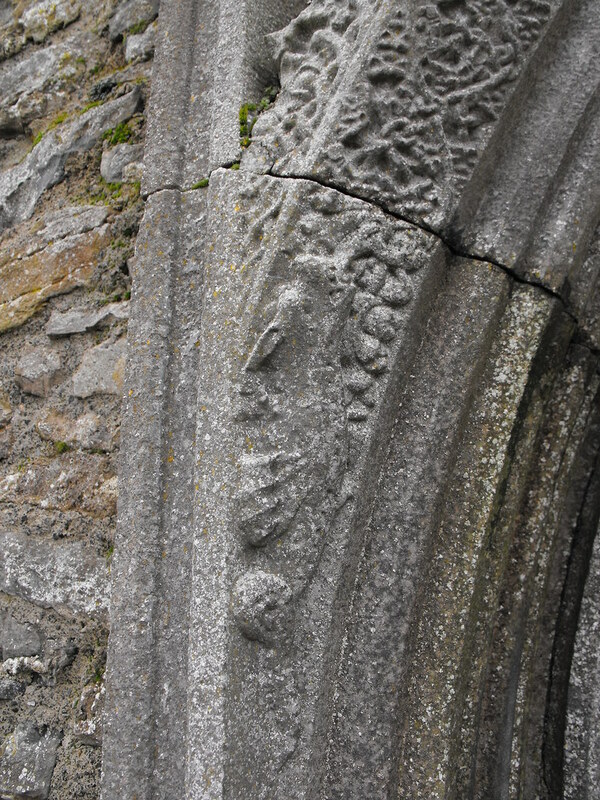 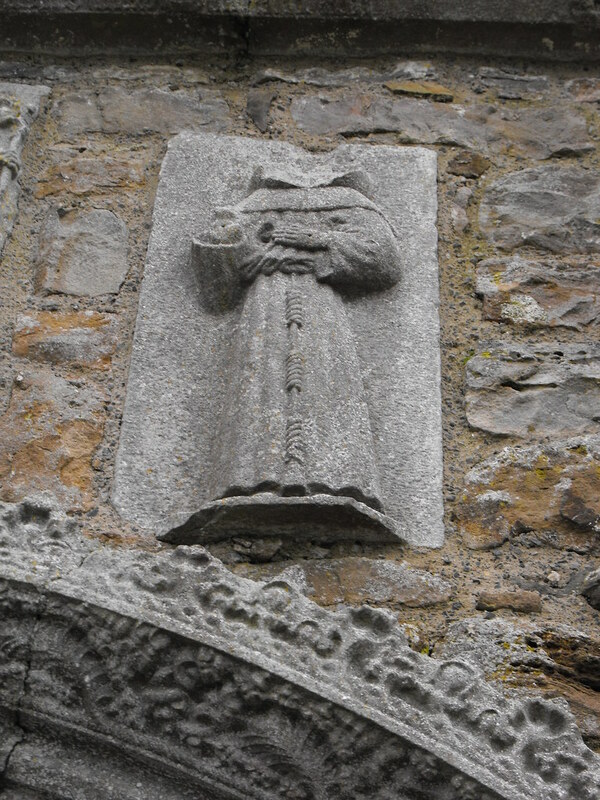 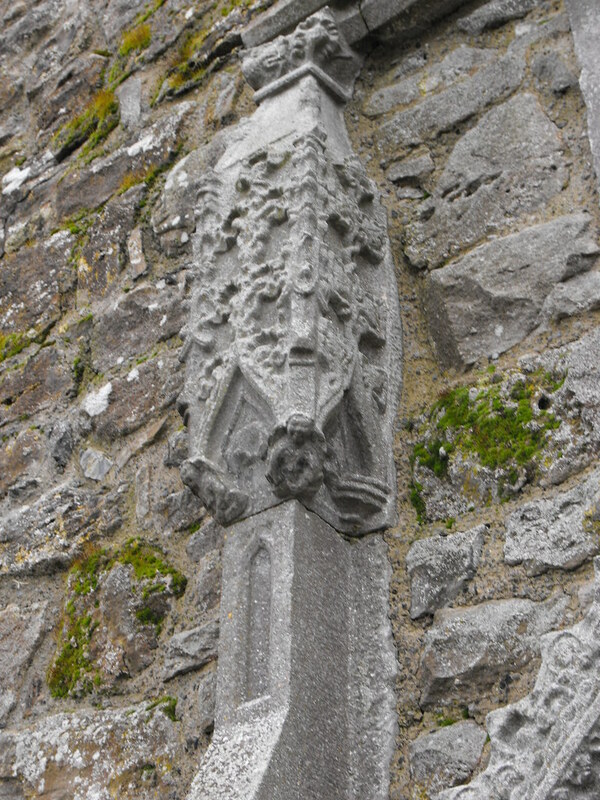 Parts of the N wall date to original stone structure of 909 which was built by Flann Sinna, the King of Tara, and Colman, the abbot of Clonmacnoise. 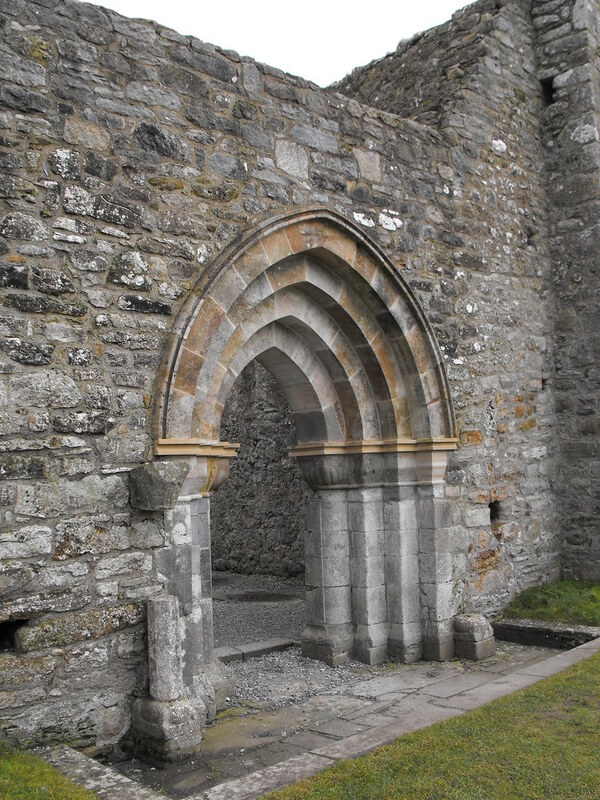 The fantastic, and restored, main doorway dates to around 1200 and represents a transitional phase of architecture between Romanesque and Gothic. 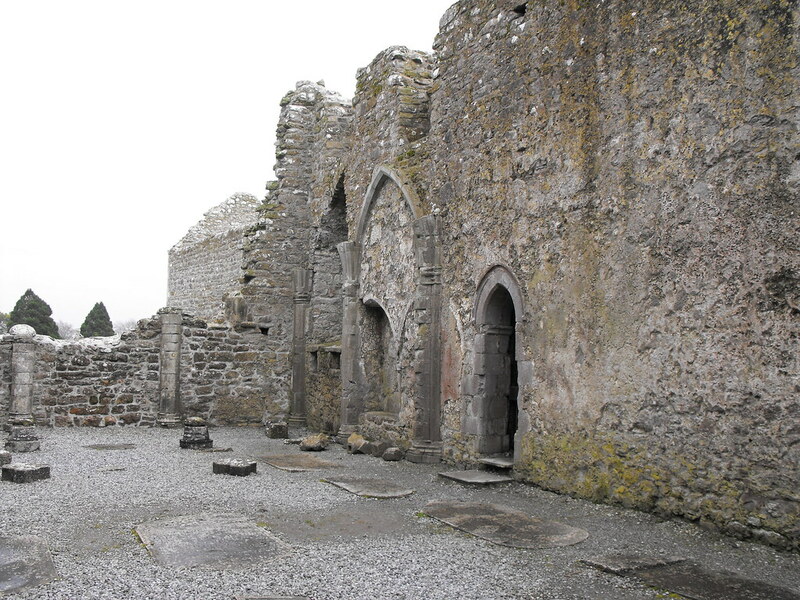 The sacristy was also added at this time. 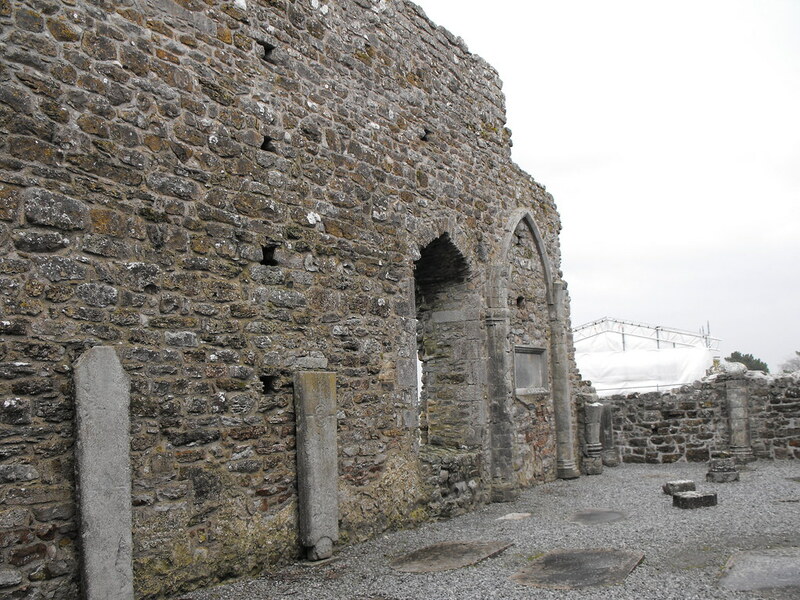 In the late 13th century the entire S wall was re-built 2m further out from its original location due to structural problems. 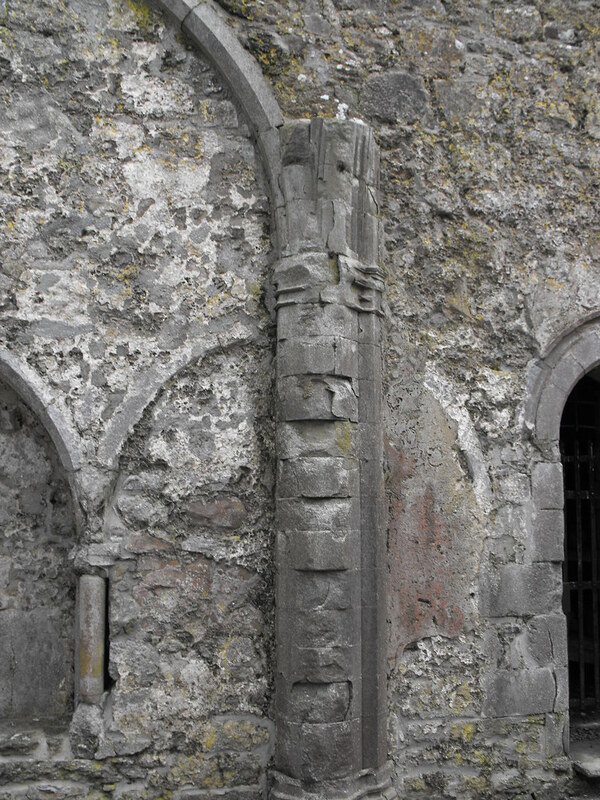 In the 1450’s the Cathedral underwent a period of rebuilding and the beautifully carved N doorway was added at this time. 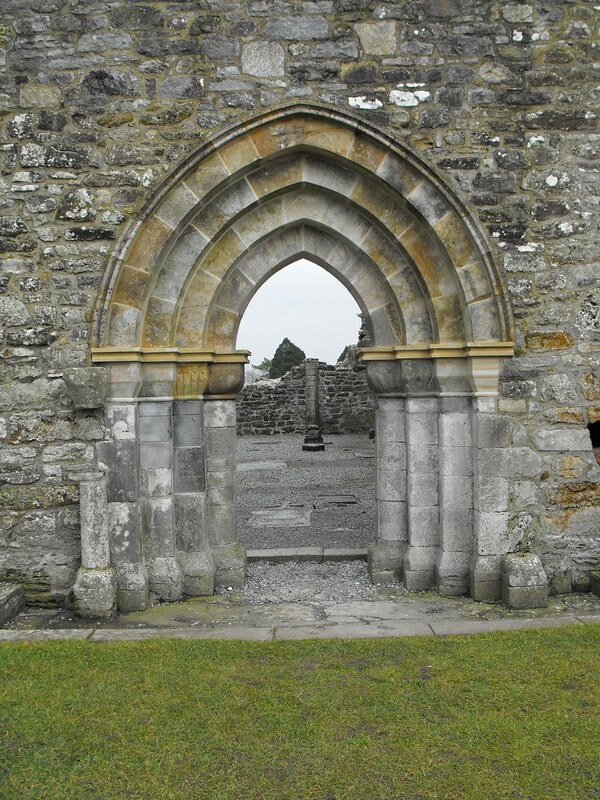 The inscription above this doorway credits the work to Odo, dean of Clonmacnoise, who died in 1461. 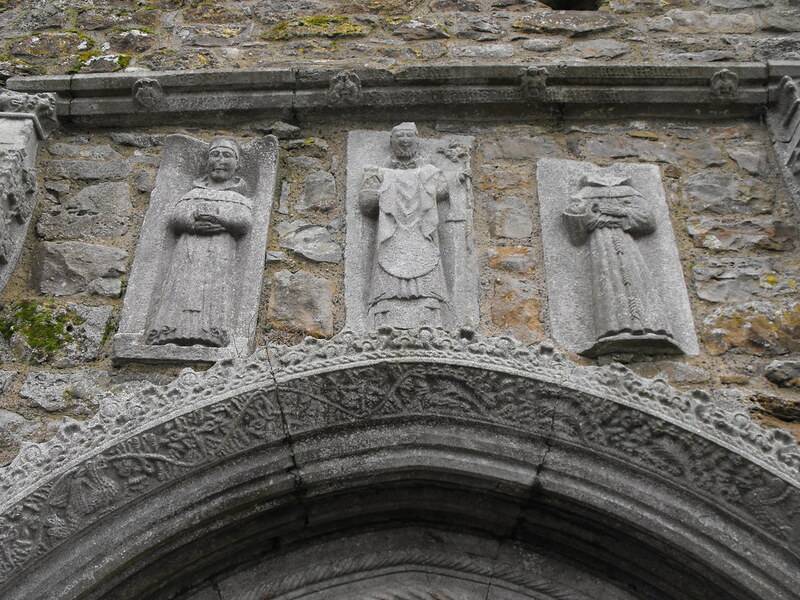 St Dominic, Patrick and Francis are depicted above the doorway. 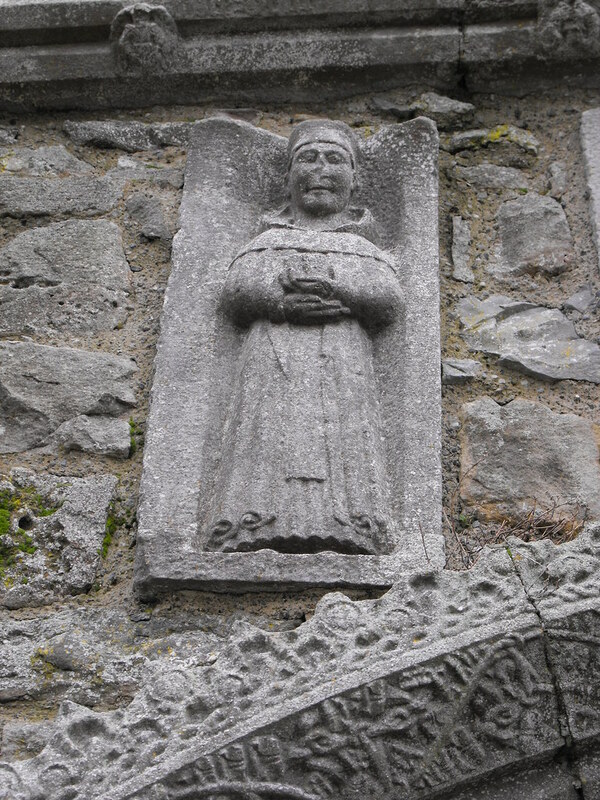 Rory O’Connor, the last King of Ireland, is buried within the Cathedral. 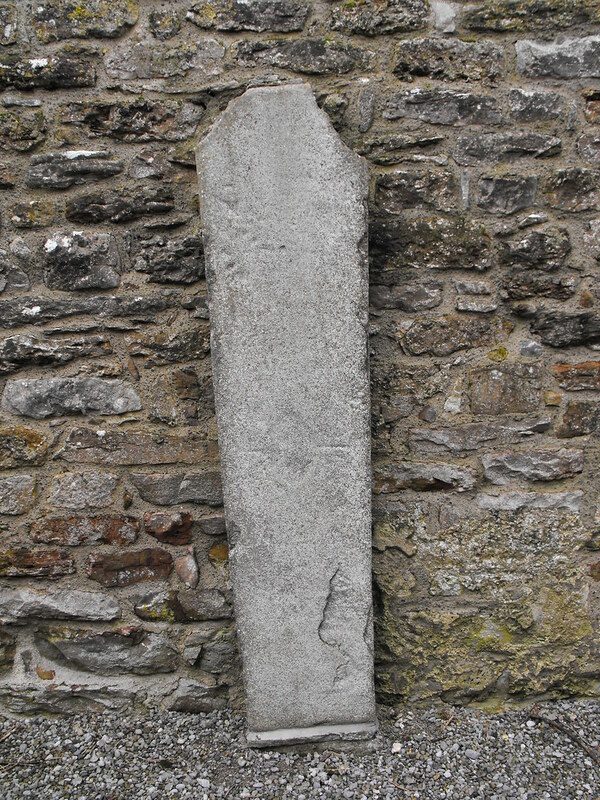 Graveslabs rest against the N wall. 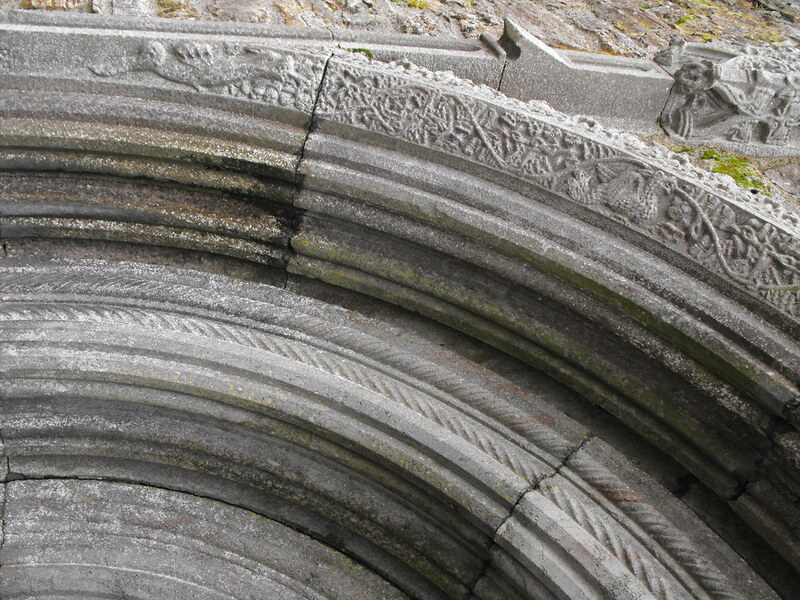 Difficulty – Like all the other churches in the main site this is easy. 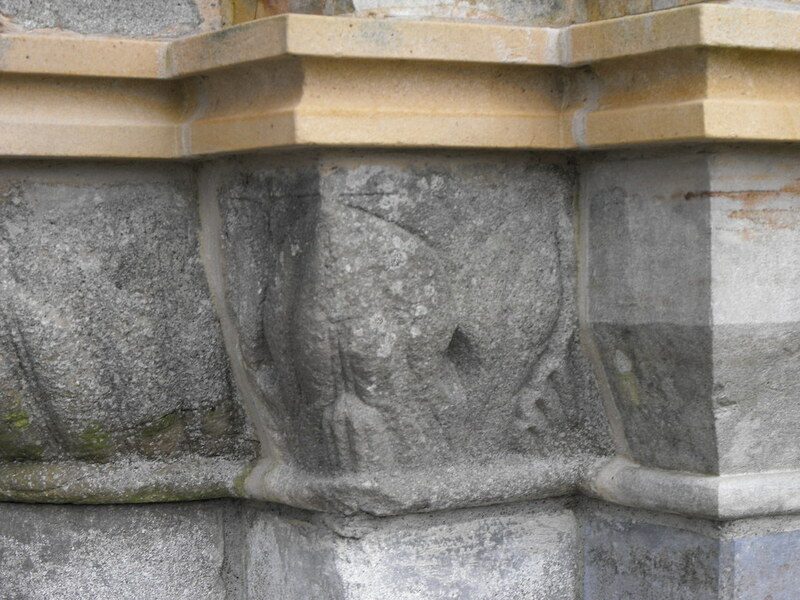 Yes, I know this picture is at the wrong angle. 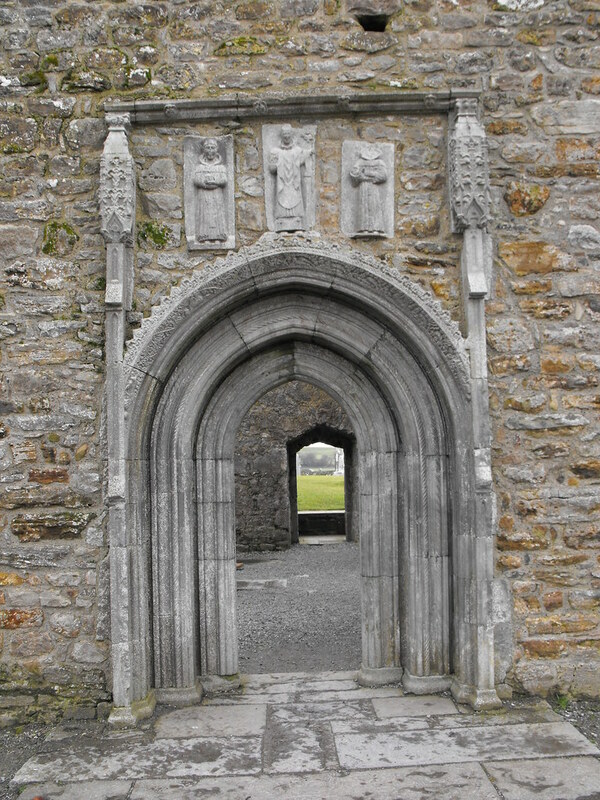 But it brings out the orders of the door more vividly. 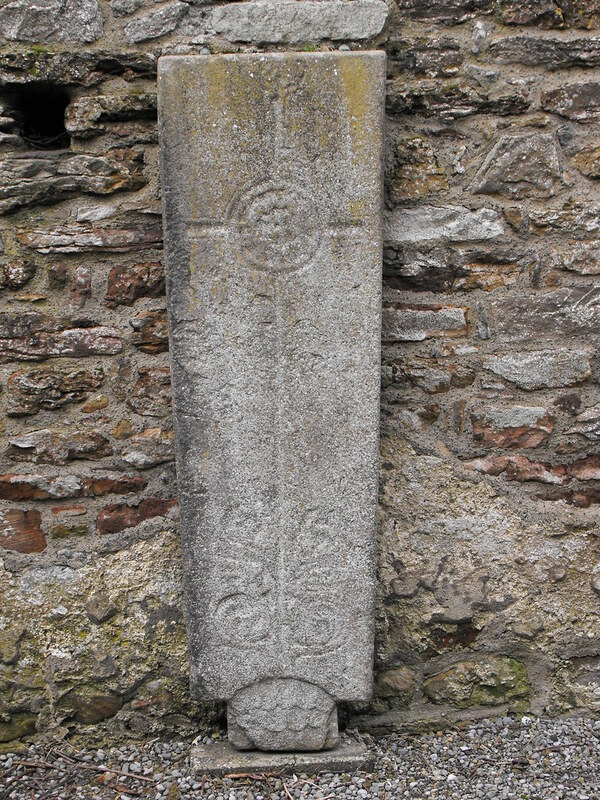 One of two cross slabs.